International Space Station (ISS) Program managers are working to re-align resupply and crew rotation manifests following last week’s launch failure of the Progress M-12M/44P spacecraft. The failure of the Soyuz-U booster’s third stage grounded both the Soyuz-U rockets used to launch cargo, and the Soyuz-FG rockets used to launch crews, since both rockets share very similar third stages. The Russian space agency Roscosmos is currently investigating the cause of the Soyuz-U third stage failure, as well as the unrelated failure of the Briz-M upper stage of a Proton-M launch vehicle that failed the week prior to the Progress M-12M failure, which led to the grounding of all Proton-M rockets. With impressive speed, Roscosmos have already identified the cause of both the Soyuz-U third stage and Proton-M Briz-M upper stage failures. The Proton-M/Briz-M failure, which resulted in the loss of the Express-AM4 satellite, has been attributed to a time interval that was too short to manoeuvre a gyroscope platform into the correct position, causing an error in the Briz-M guidance system, which in turn pointed the Briz-M upper stage in the incorrect orientation, which resulted in the Express-AM4 satellite being placed in an off-nominal orbit. 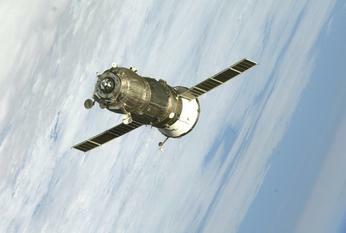 The cause of the short time interval is believed to be a human programming error, making it the second Proton failure attributed to human error within the past twelve months, following the over-fuelling error which led to the failure of the Proton-M with three GLONASS satellites in December 2010. Roscosmos has now approved the re-start of processing for Proton launch vehicles, just twelve days after their grounding following the mishap. The failure of the Soyuz-U third stage has been attributed to a malfunction in the gas generator of the third stage’s RD-0110 engine. The gas generator produces gasses via the combustion of main propellants. These gasses are then used to power the turbopump, pressurise the kerosene tank, and are also fed to the four small vernier thrusters on the RD-0110 engine, which are used to control the attitude of the vehicle. Telemetry showed that 325 seconds into the flight (approximately 20 to 25 seconds after third stage ignition), the pressure downstream of the turbopump (possibly at the engine inlet) dropped, which resulted in the third stage’s engine being automatically shut down to prevent a possible explosion. The cause however of the malfunctioning gas generator has yet to be determined. It is unlikely that debris of the Progress or third stage will cede any clues, since the thousands of pieces are spread out over a very large area, and recovery efforts are being hampered by bad weather. However, given the fact that the Soyuz rocket has flown over a thousand successful flights, the malfunction is unlikely to be a design flaw, and more likely to be human error in the manufacturing or assembly process. Numerous Russian media reports have cited low salaries, an ageing workforce, failure to attract young engineers, and a lack of state investment as a reason for a steady decline in quality of Russian space hardware since the fall of the Soviet Union. That is coupled with an increasing strain on the Russian space industry due to a growing number of projects, including the manufacture of four Soyuz spacecraft per year in order to support a six person ISS crew, whereas in the three crew era only two Soyuzes per year were required. In response to the failure, the Russian Prosecutor General’s Office has sent investigators to the Voronezh plant, where the third stage RD-0110 engine is manufactured, and if any cases of negligence are found in managers or factory floor workers, charges of imprisonment may follow. Russian Prime Minister Vladimir Putin has also ordered tougher quality controls of all Russian space hardware, including a quality review of all hardware currently is Roscosmos’ possession. Until the investigation is complete and the cause of the malfunction identified and rectified, all Soyuz launch vehicles are grounded. However, even after the Soyuz rocket is cleared to fly, both Roscosmos and NASA would like to fly two unmanned flights of the booster before launching any crews, to verify that the gas generator issue has been resolved. The immediate issue facing the ISS is not related to supplies, since the recent STS-135 mission delivered enough for the ISS to remain crewed at six crewmembers and still reach next summer without any resupplies. Rather, the immediate issue facing the ISS relates to crews, since all of the six crewmembers are schedule to return to Earth in the next few months. Ensuring that the ISS remains crewed until the next Soyuz spacecraft can launch replacement crewmembers will be a challenge, and is dependent upon how quickly the Russians can return to Soyuz rocket to flight status. 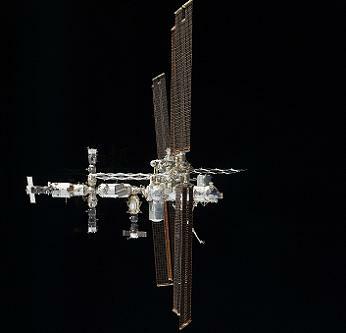 To this end, ISS crew rotation plans have had to be adjusted. There are however two issues affecting the crew rotation plans, which limit how much extra time the two current Soyuz spacecraft can remain docked to the ISS, in order to allow for a replacement crew to launch before their departure. The first issue is the orbital lifetime of the Soyuz spacecraft , which is limited to around 200 days. The limited lifetime is driven by the Soyuz peroxide thruster system, which degrades over time and so is limited in how long it can spend in space. NASA is currently discussing with Roscosmos whether or not it is worth pursuing the effort of re-certifying Soyuz to remain in space longer, although the current notional schedule shows that there is little rationale for doing so. NASA says that keeping crews in space for 210 days is “acceptable from both the NASA Crew Office and NASA medical perspectives”. 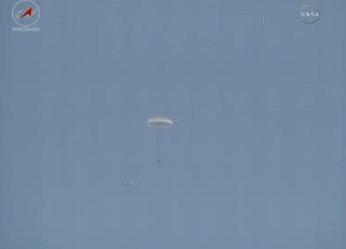 The second issue affecting crew rotations is lighting conditions and weather at the Soyuz landing site in Kazakhstan. The times that the Soyuz spacecraft can land in Kazakhstan are dictated by orbital mechanics, and there are certain periods where the only available landing times would occur when the landing site was in darkness. Soyuz landings are not allowed to occur in darkness, since doing so would complicate and increase the risk to the Search And Rescue (SAR) forces that recover the Soyuz crews post-landing. Also, during the Kazakhstan winter months (December to February), the weather is too bad to permit Soyuz landings, since strong winds and heavy snows increase the risks to both Soyuz landings and the SAR forces. The plan prior to the Progress M-12M launch failure was for the Soyuz TMA-21/26S spacecraft to undock from Mini Research Module-2 (MRM-2) on 8th September, and the Soyuz TMA-22/28S spacecraft to launch on 22nd September. The grounding and unmanned test requirements of the Soyuz booster has pushed the Soyuz TMA-22 launch to the right, which has subsequently also pushed the Soyuz TMA-21 departure to the right. However, the Soyuz TMA-21 landing cannot slip to the right by a similar amount to the Soyuz TMA-22 launch slip, due to the aforementioned Soyuz orbital lifetime and Kazakhstan lighting & weather constraints. It has been decided to delay the Soyuz TMA-21 landing by one week to 16th September, whereupon Soyuz TMA-21 will have been on-orbit for roughly 170 days. This keeps the ISS at six crew for an extra week, which allows for more research to be conducted, since the target of 35 to 40 hours per week can only be met with a six person crew. The Soyuz TMA-21 landing cannot be delayed beyond one week, because after 18th September, Soyuz landing site lighting becomes too dark to permit a landing. Adequate lighting will return 40 days later on the 26th October, but Soyuz TMA-21 cannot remain on-orbit until then as by this time it would have been in space for 210 days, which is 10 days past the preferred 200 day limit. If Russia had certified Soyuz to remain on-orbit longer than 200 days, it would have been possible to delay the Soyuz TMA-21 landing to 26th October, thus gaining an extra 40 days of six crew operations for ISS. This was always unlikely to happen however, since a phasing burn to optimise the ISS’ obit for a Soyuz landing needs to be conducted one week prior to the landing, which would be 9th September for a 16th September landing date. Thus, 9th September was the commit date for at 16th September return, and it was unlikely that the work to certify the Soyuz to remain on-orbit longer could have been completed before 9th September. 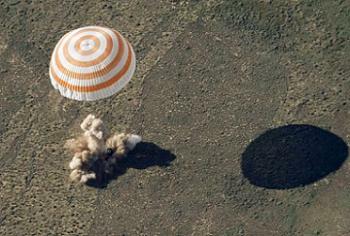 Following the Soyuz TMA-21 landing and the return of US astronaut Ron Garan, and Russian cosmonauts Andery Borisenko & Alexander Samokutyaev to Earth, the ISS would be down to three crewmembers – US astronaut Mike Fossum, Japanese astronaut Satoshi Furukawa, and Russian cosmonaut Sergey Volkov. The next milestone in the currently notional Progress M-12M failure recovery plan would then be the launch the Soyuz 2-1B booster with the Kosmos (GLONASS-M) satellites on 25th September. 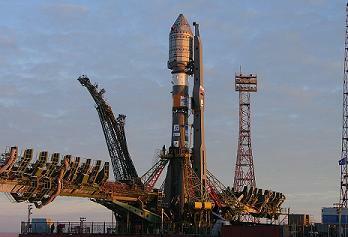 The launch was originally scheduled for 15th August, but was delayed in light of the Progress M-12M accident. Assuming the GLONASS launch is successful, that would pave way for the launch of Progress M-13M/45P on 14th October – accelerated from its previously planned date of 28th October – with a docking to the ISS at either the Docking Compartment-1 (DC-1) “Pirs” or Service Module (SM) “Zvezda” docking port two days later on 16th October. If Progress M-13M were to dock at DC-1, Progress M-10M/42P would have to undocked from DC-1 on 13th October, the day prior to the Progress M-13M launch. If this happened, this would result in the unusual configuration of only one Russian vehicle being present at the ISS (Soyuz TMA-02M at MRM-1), instead of the usual four. Roscosmos may however deicide to dock Progress M-13M to the SM Aft port, which will be vacant since Progress M-12M was supposed to dock there. The advantage of this is that Progress M-13M would then be able to perform ISS reboosts, instead of relying on the SM engines as the ISS is currently doing. There is no concern about ISS reboosts in the immediate future however, since the SM propellant tanks are currently topped off from Progress M-10M. According to NASA “Prime reboost & DAM (Debris Avoidance Manoeuvre) would be done with SM main engines, but DC-1 could also be used. Having the SM Aft end open (no Progress docked) appears of no concern, except perhaps for a slight increase in MMOD (Micrometeorite Orbital Debris) risk”. Following the Progress M-13M launch, the Soyuz-FG would then loft Soyuz TMA-22/28S on 28th October, carrying three replacement crewmembers for the ISS – US astronaut Dan Burbank, and Russian cosmonauts Anton Shkaplerov & Anatoly Ivanishin. Soyuz TMA-22 would dock to the ISS at MRM-2 two days later on 30th October, putting the ISS back up to 6 crewmembers after around six weeks of three crew operations following the Soyuz TMA-21 departure. Soyuz TMA-02M/27S would then undock from MRM-1 and return to Earth on its originally planned date of 16th November, after 160 days on-orbit. Keeping Soyuz TMA-02M on-orbit for an extra 40 days, so as to use all of its 200 day orbital lifetime, is not possible due to a number of issues. The first issue is that from 19th November to the end of December, landing site lighting conditions will be too dark to permit a landing. Adequate landing site lighting will return toward the end of December, but by that time Soyuz TMA-02M will be past its 200 day orbital lifetime. However, even if Soyuz TMA-02M were cleared to stay on-orbit past 200 days, by the end of December severe wintry weather will have set in at the landing site in Kazakhstan, which will prevent Soyuz TMA-02M from returning to Earth until March, which will be well past its 200 day orbital lifetime. 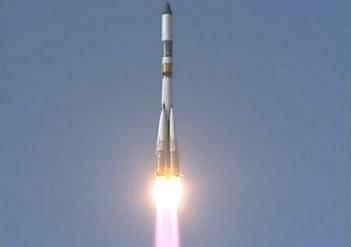 Following the Soyuz TMA-02M landing, the ISS will be back down to three crewmembers. 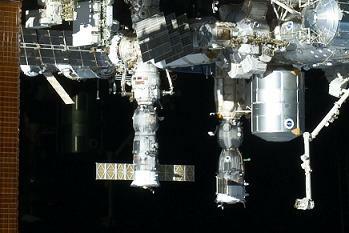 However, the launch of Soyuz TMA-03M/29S just over three weeks later on 10th December – delayed from its previously planned date of 29th November – with a docking to MRM-1 on 12th December, would put the ISS back up to six crewmembers, due to the addition of US astronaut Don Pettit, European astronaut Andre Kuipers, and Russian cosmonaut Oleg Kononenko. While it must be stressed that the above plan is only notional at this point, if successful, it would result in ISS being back up to six crewmembers before the end of the year. If however Soyuz TMA-22 does not launch before November 13th, so as to arrive at the ISS on November 15th – the day before the Soyuz TMA-02M departure – then ISS will have to be temporarily de-manned before the end of the year. This, however, would be a worst-case scenario, that would only occur if the Soyuz booster cannot be returned to flight by October, in order to support the two unmanned test flights before Soyuz TMA-22 is launched. 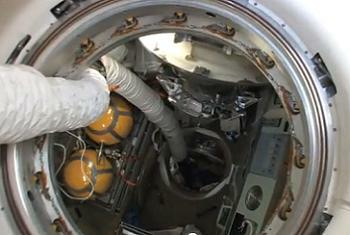 Preparing ISS for unmanned operations would consist of installing jumpers to enable certain systems to be controlled from the ground, closing the hatches between all modules, and uninstalling clamps that hold Progress spacecraft to the ISS, which would enable Progress to be docked to and undocked from the ISS even while it is unmanned. The ability to replace Progresses would mean that ISS reboosts would still be able to be performed even though ISS would be unmanned, meaning that ISS would be able to remain on-orbit indefinitely. Aside from the loss of research (although many external experiments will still continue to collect data), the biggest risk of leaving ISS unmanned is that if an equipment failure occurred, there would be no crew aboard to fix the problem. A prime example of this is last year’s Pump Module (PM) failure, which resulted in three Extra Vehicular Activities (EVAs) being performed to Remove & Replace (R&R) the faulty PM. 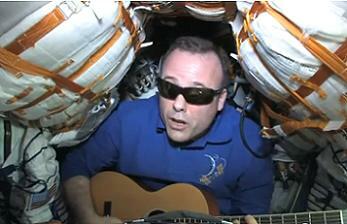 If a similar failure occurred with no crew aboard the ISS, such EVAs would not be possible. As previously stated, the recent STS-135 mission delivered enough supplies for the ISS to remain crewed at six crewmembers and still reach next summer without any resupplies. The only effect that the Progress M-12M launch failure had on ISS logistics is the fact that one Russian crewmember may need additional clothing, which is available on the ISS from past and future Increments. Although Progress M-13M should launch on 14th October, it is not yet known whether the planned undocking of Progress M-13M and launch & docking of Progress M-14M in December will go ahead as originally scheduled. Per L2, the HTV-3 mission holds the potential to slip into the May 2012 timeframe, for reasons unrelated to the Progress M-12M failure. 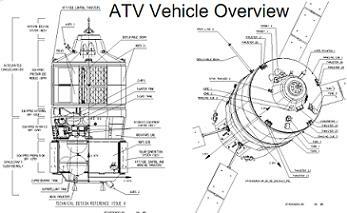 Also, the ATV-3 mission may also slip into the mid-2012 timeframe, again for reasons unrelated to the Progress failure. Also per L2, the SpaceX combined COTS 2/3 demo mission, currently planned for 30th November, may slip to late January 2012. The 30th November date was just a place holder for use by the Florida Eastern Test Range, per sources. Such a slip would be unrelated to the Progress failure, instead related to the preparation work that needs to be completed on the Falcon 9 and Dragon before it can be ready to fly, which is progressing slower than expected. Although the delayed Soyuz TMA-22 launch means that only three crewmembers – and only one US crewmember – will be present on the ISS on 30th November, it would not be an issue for the Dragon capture and berthing, since Russian crewmembers would have been trained to support the activities.